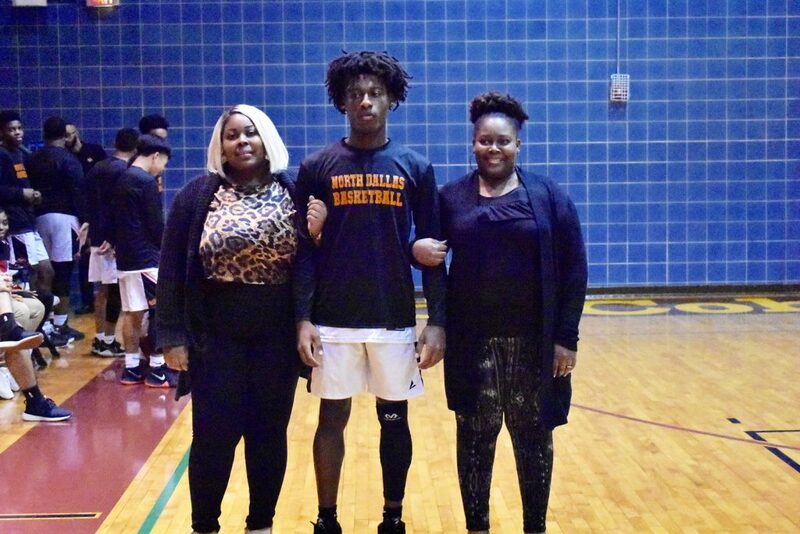 Mother Titiq Shelvy (left) and Katina Overton walk with senior Jah’Ques Shelvy. Coaches Eric Gracia and Jeremy Mason walk with senior Matthew Baker. 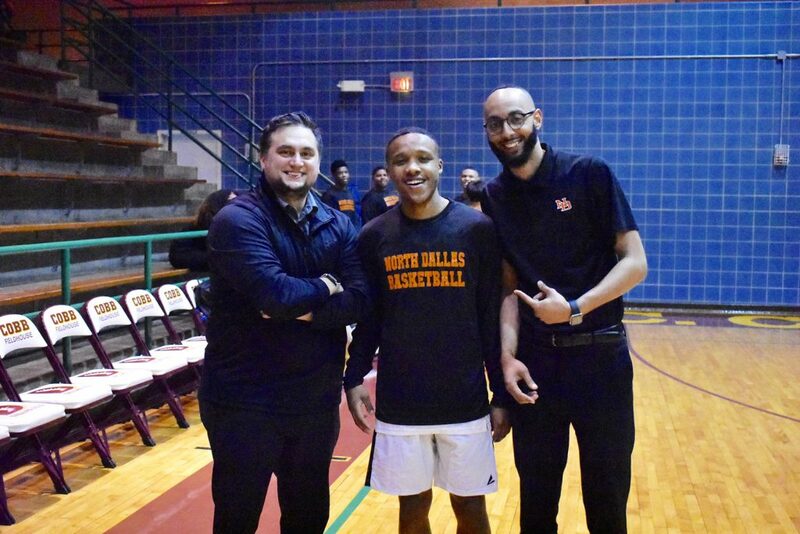 The North Dallas boys basketball team didn’t win many games this season, but Coach Jeremy Mason still praised his eight hard-working, nonstop players. 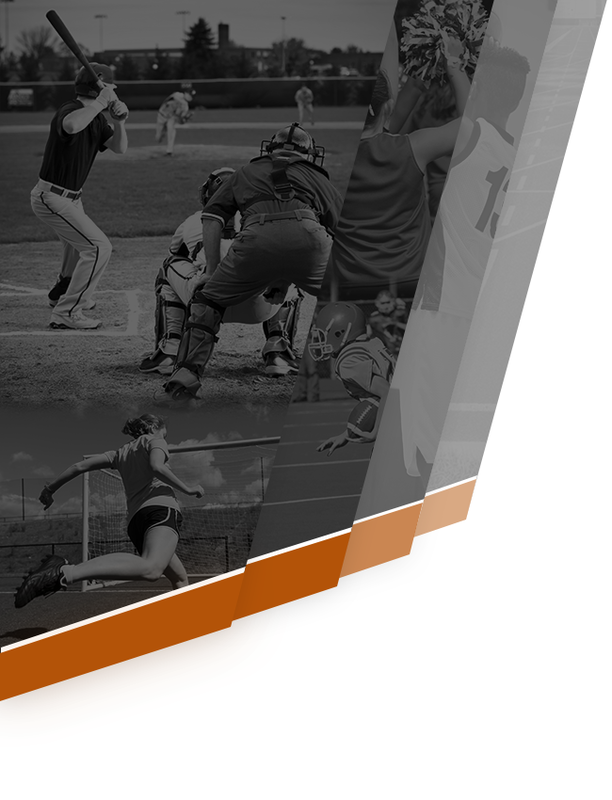 “The best group of kids I’ve ever had,” Mason said last week before the game against Pinkston at Cobb Field House. 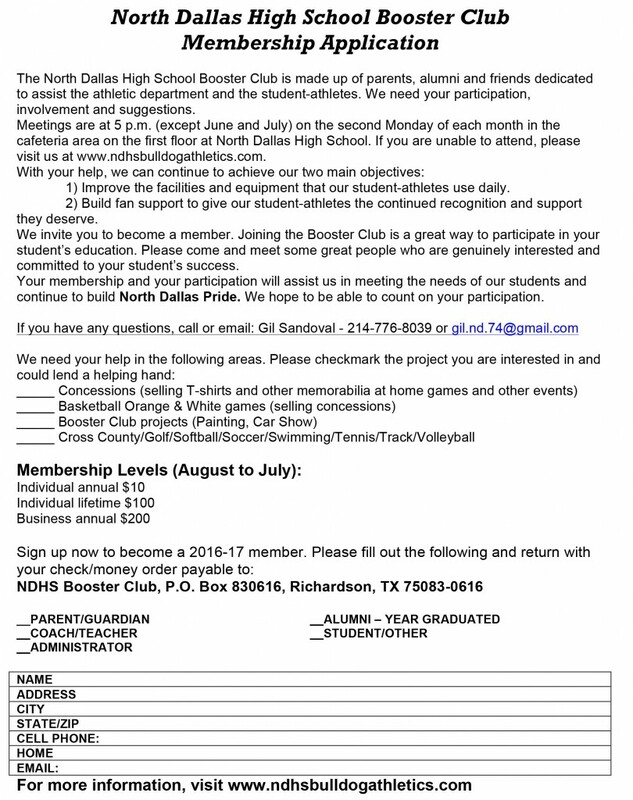 “I expressed this to our principal and I expressed this to other coaches on campus. When people ask “Coach, how is the team doing?’ All along I’ve been saying, I don’t know how many games we’re going to win, but I really like this team. 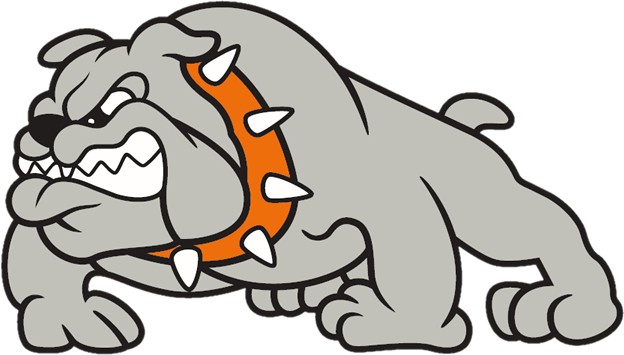 The Bulldogs didn’t win that night against the Pinkston Vikings in a District 12-4A game. 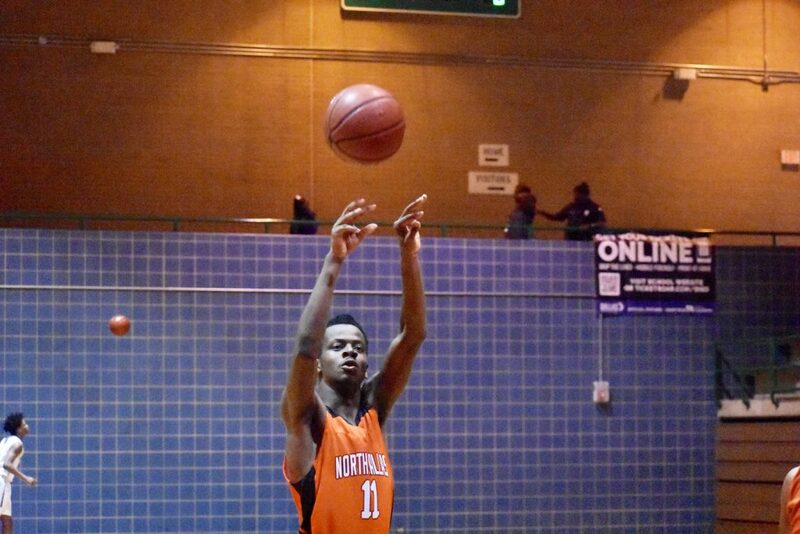 Matthew Baker scored 18 points and Jah’Ques Shelvy had 14 in the loss. 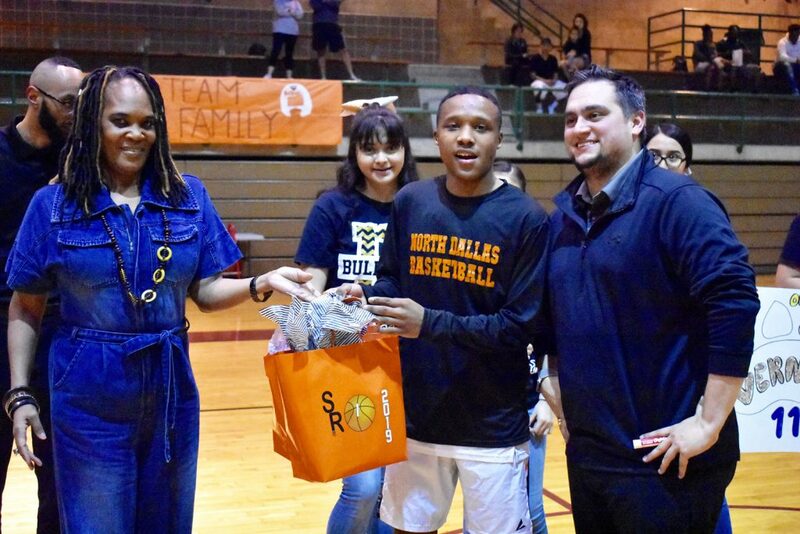 The North Dallas seniors — Vernell Lee, Matthew and Jah’Ques — were recognized in a pregame ceremony. 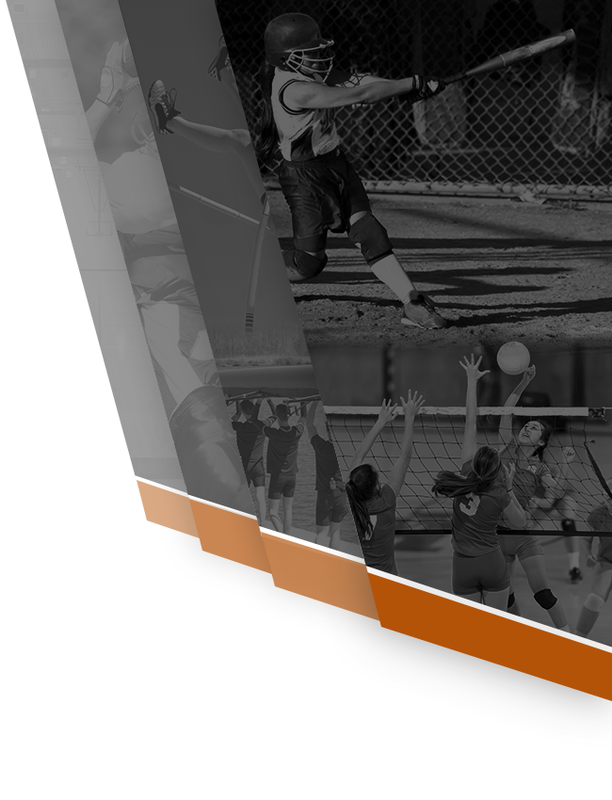 Vernell wasn’t able to attend because he had “pink eye,” Coach Mason said. 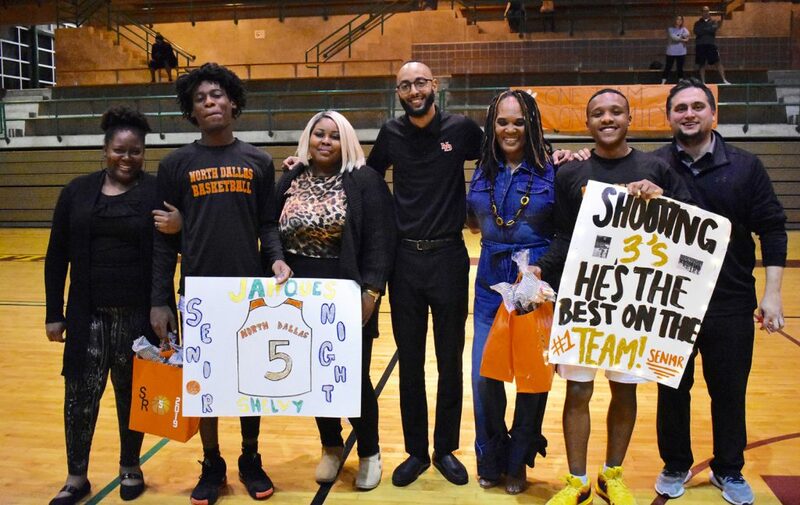 From left: Katina Overton, Jah’Ques Shelvy, mom Titiq Shelvy, head coach Jeremy Mason, Ethel Mangram, senior Matthew Baker and assistant coach Eric Gracia. “For Vernell Lee, it’s really bittersweet for me,” Mason continued. “I think his potential has always been flying through the roof. Since this was his first year of really playing a full year, it’s the first year people got to see him actually play. He never had played before. When we go watch film, we see things like this kid is really fast. He’s about 6-1 or 6-2, and he can really stretch the floor. He’s plays a big for us and he can shoot the ball. He’s had some huge games. He played great against Life Oak Cliff and he played great in our win over Sunset. So whatever games we’ve won this year, he’s been a major part in what we do. We’re going to miss him a lot. We’re going to miss his size. We like him in the locker room. … He was determined to play this year. To not let anything or anyone hold him back. I think when he graduates he can walk out and say, ‘Man, I did it. I did it. I got to play. I got the experience.’ We hate it that it wasn’t all four years, but it’s not everybody’s story. Mason said the seniors were like his own children. The boys played hard every game, going nonstop the whole game. Mason wished the Bulldog seniors had won more games during their careers. Matthew receives his gift from Ethel Mangram (left) as he poses with Coach Eric Gracia. 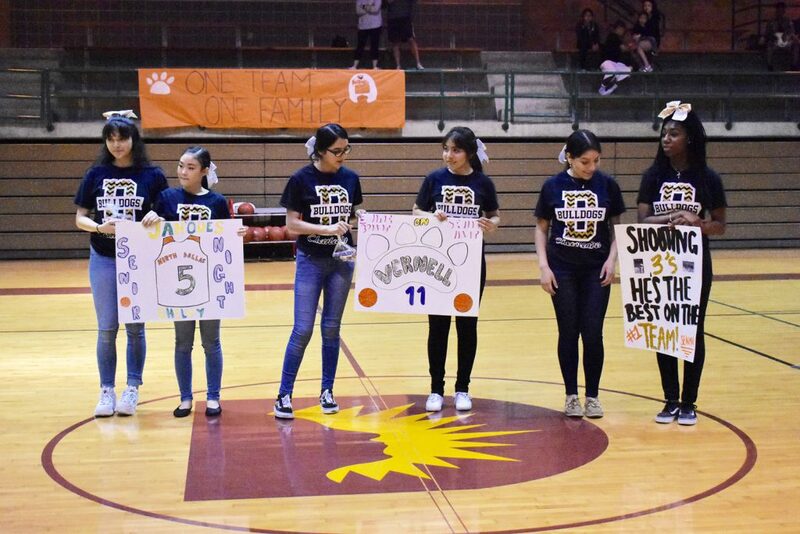 The North Dallas cheerleaders hold signs for the three seniors — Matthew Baker, Vernell Lee and Jah’Ques Shelvy.